Our established system of work with carriers allows us to have full information about any free vehicle and its location so that we can provide all kinds of trucks in nessesary quantity in reasonable terms. 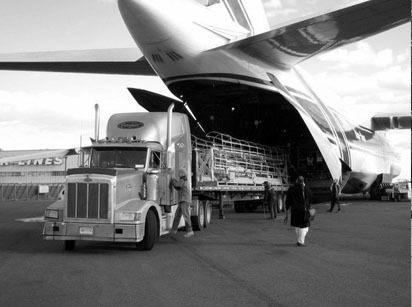 We permanently work with transport companies of Russia, Estonia, Germany, Austria, Italy and other countries. Every carrier—partner of "Kango Logistics" has the policy of insurance of the responsibility of a carrier (CMR-insurance).